The Caspian Sea inspires many due to its sheer size, power, and unremitting beauty. The Sea is a home of about 50 large and medium-sized islands with a total area of 350 square kilometers. It is the largest lake, both by its area and volume. Of the 90 percent of the water mass flowing into the Caspian Sea from rivers, 80 percent fall to the share of the Volga river, six percent - the Kura river, and five percent - the Ural river. There are no rivers flowing into the sea on the east coast of the Caspian Sea. 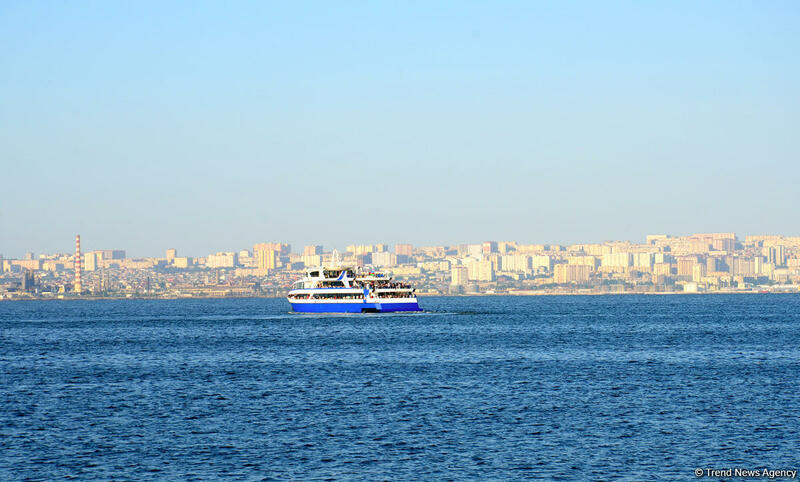 Over the past 12-13 years, the level of the Caspian Sea has decreased by one meter, the Director of the Geography Institute of the National Academy of Sciences of Azerbaijan (ANAS), academician Ramiz Mammadov told Trend. Ramiz Mammadov noted that, while ten years ago the level of the Caspian Sea was 27 meters below the world ocean level, now this figure has reached 28 meters. In recent years, the level of the Caspian Sea has been declining annually by about ten centimeters. "Due to climatic changes, the evaporation above the Caspian surface has increased. The amount of evaporated water was about one meter, and if there was no evaporation, the water level would rise by a meter. On the other hand, the water supply of the Volga River, which flows into the Caspian Sea, has decreased," he explained. Mammadov said that the fall in the water level of the Caspian Sea has a negative effect on the marine flora and fauna. The director of the institute stressed that with water level decreasing, the volume of the shelf zone of the sea decreases, therefore the habitat of representatives of the animal world living in the shelf zone is narrowed. Their food supply and oxygen volume decreases. According to Chingiz Ismayilov, Head of the "Caspian" Scientific Research and Information Center at Baku State University, it is difficult to say how long the decline in the water level of the Caspian Sea will continue, Chingiz Ismayilov, Head of the "Caspian" Scientific Research and Information Center at Baku State University told Trend. "This period can continue for 11-12 and even 30 years. The water level in the Caspian Sea fluctuates periodically, one day it falls, another day it rises," Ismayilov said. Ismayilov noted that when conducting construction work and laying communications lines, it is necessary to take into account that the amplitude of the rise and fall of the Caspian Sea level varies between 1-1.5 meters. Otherwise, when the water level rises, the problem of flooding arises, and when the water level drops, the problems in implementation of agricultural work surface. In addition, Solar activity also influences the change in the level of the Caspian Sea. But it is wrong to relate it only to the activity of the Sun. Notably, the Caspian Sea is home to 80-85 percent of the world sturgeon. A sharp decrease in volumes has been witnessed recently. With its rich natural resources, it is also home to about 141 other fish species. However, this natural wonder is struggling with different problems including pollution. The coastal states signed a framework convention on the protection of the marine environment of the Caspian Sea in November 2003.